Some times I get lost in a sea of postings and recipes and ideas for cooking online. It can be over whelming between the 'this looks good,' or 'I like the idea of this recipe,' or sometimes 'this looks really cool, but I'm not sure I want to eat that.' Then there are times when you come across a recipe and you go 'THIS IS IT!!!' It is something that you not only want to try making, but your mouth is watering when thinking about eating it also. This Bourbon Pumpkin Cheesecake is definitely one of those can't wait to make, can't wait to eat recipes. The creator of this recipe is also one of the co-authors of the cookbook 'Artisan Bread in 5 Minutes,' which my house very much appreciates. So, I knew from experience that she knew how to write recipes that work. I'm a little late on getting this posted because I was truly enjoying the holiday season this year. It was made for a large family Thanksgiving Dinner. It was our responsibility to make desserts for the get together and we decided three options would be a good idea. I was solely working on this cheesecake, as I had my eye on this recipe for a while, but hadn't had a good reason to make until now. While the P.I.C. (partner in crime) was going to make traditional pumpkin pies and a caramel walnut tart. I probably don't have to tell you, but we may be assigned to desserts at more family functions to come. 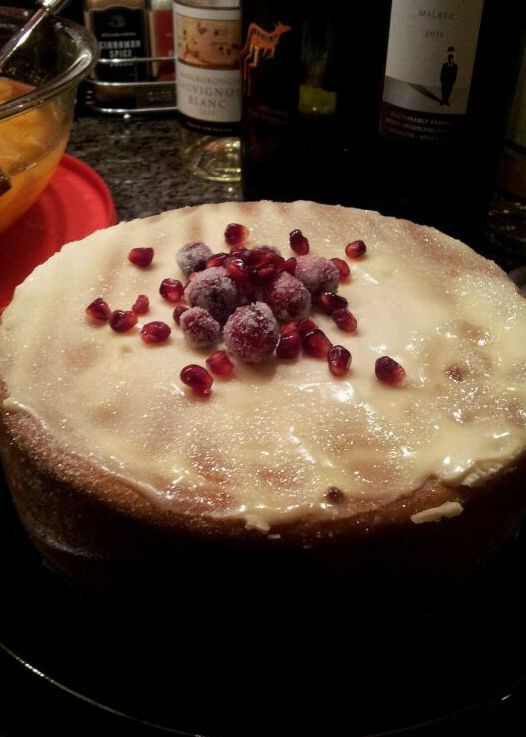 This was my first experiment with cheesecake - not eating, just making. And the main thing that I learned from this is to trust your gut because it may take longer to bake than you think. It could be because we had multiple desserts going and we were changing the temp on the oven frequently, but either way, the texture and firmness is what you are looking for. I don't have a lot of pictures on this one because I was really focused on finishing on time for the holiday dinner and not as much on the taking of the photos, but I promise if you follow the instructions, this will be a crowd pleaser. This rich and creamy dessert would best be served with a cup of coffee and pillow...because you may need a nap after this one. I hope everyone enjoyed the wonderful holiday season this year...maybe you should put this on your list to try next holidays! Preheat the oven to 325 degrees and prepare a 8 inch spring form pan with butter and a parchment round to fit. Combine ground graham crackers, butter and ginger. Press firmly and evenly into the bottom of the spring form pan. Bake for approx 8 minutes to set. Mix the room temperature cream cheese and brown sugar until smooth. 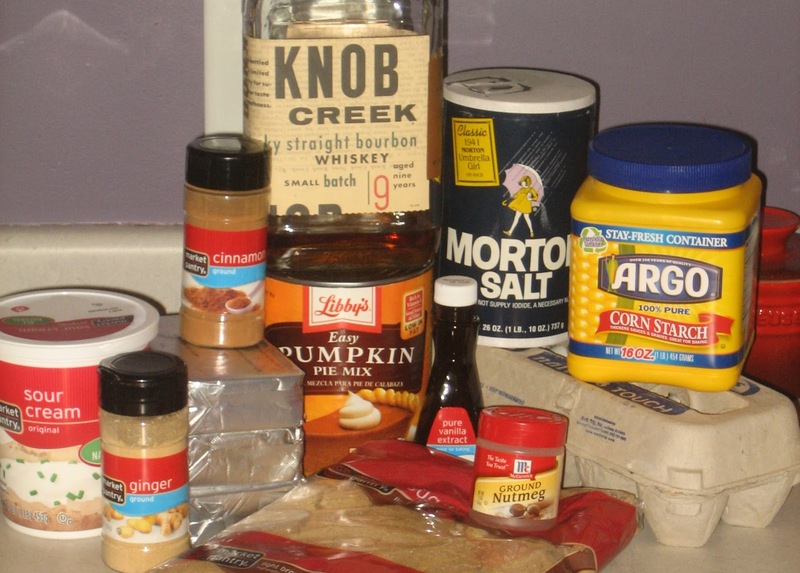 In a separate bow, combine the pumpkin puree, eggs, sour cream, vanilla and bourbon. Slowly add this to the cream cheese mixture, scraping down the sides often. In another bowl, whisk together the sugar, starch, spices and salt. Add to cream cheese and pumpkin mixture. Beat on medium/low speed until well combines, once again, scraping down the sides often. Pour cheesecake mixture into the prepared pan. 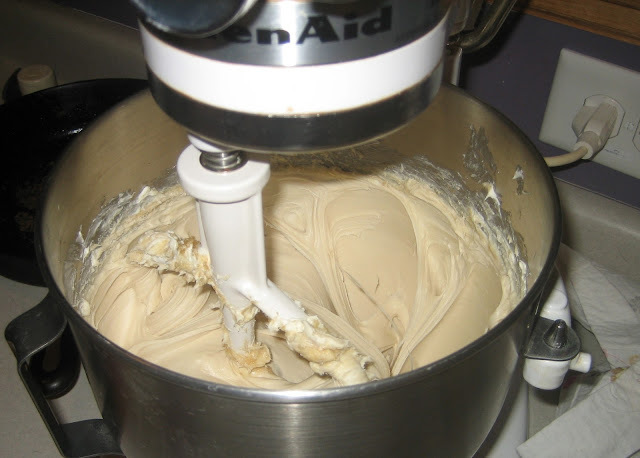 Gently tap the cake pan several times on the counter to bring any air bubbles to the surface. Bake in a water bath and with a foil tent for about 50-70 minutes, or until set, slightly puffy and no longer wet looking. While the cake is baking mix together all the ingredients for the topping and set aside. Once the cake is fully cooked, remove the foil and spread the sour cream topping on very carefully. Bake for an additional 5 minutes, uncovered. Remove the cake and allow to cool in its water bath. Approx 20 minutes. Put in refrigerator to cool for a couple hours. Before serving, make the sugared cranberries by first mixing the cranberries and egg white. Drain off the excess egg white between your fingers and then dipping the cranberries in the sugar. Roll until evenly coated, remove and let dry on a cookie sheet. Top the cheesecake with the sugared cranberries and pomegranate seeds. *Recipe from Zoebakes.com. Prep instructions above copied from recipe on the site to insure accuracy in preparation.